About Big Bear Brewing Co. | Big Bear Brewing Co.
We provide outstanding service and the highest quality food. We are committed to sourcing the highest quality ingredients at the peak of their season. Our soups, salad dressings, desserts, and sauces are homemade from scratch daily. We use locally sourced fresh seafood & produce. Big Bear Brewing Co. opened its doors in July of 1997. Our concept was based on serving fresh brewed beer with quality and creative food in a warm and friendly atmosphere. When we opened, brewpubs were expanding throughout the country. 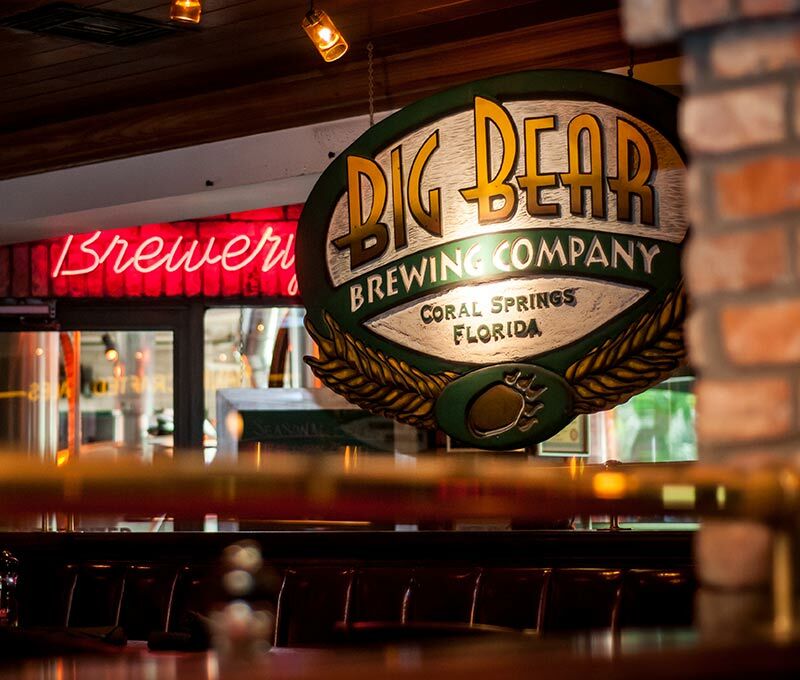 Since then, the brewpub concept has slowed, but not Big Bear. We like to think of our very loyal guests as family, and after 20 years that family continues to grow. We have a strong foundation in this community and are very proud of that achievement. Behind the scenes of any successful restaurant is a devoted staff… we have many who have been with us since the beginning. Consistency breeds success and for that we thank our crew.